The text below was the initial post. However, implementation of the new rural area maps has been delayed until further notice. Current eligible areas will not be changing on October 1, 2014. 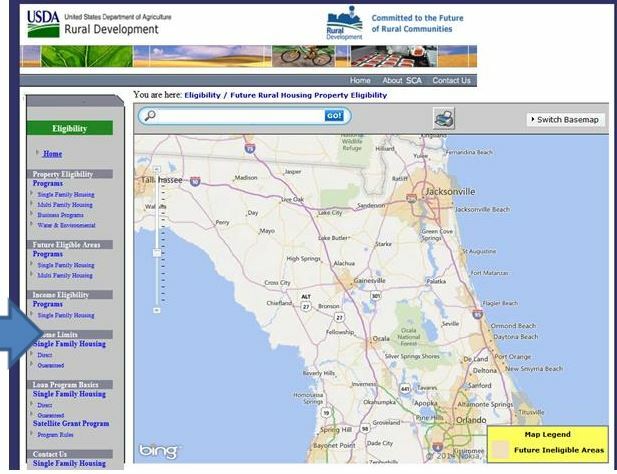 For now, you should disregard the Future Eligible Areas map posted on the RD website, and continue using the current Property Eligibility maps. USDA has published new maps showing what properties are eligible for the USDA loan. These new maps go into effect Oct. 1, 2014, meaning any loan applications received by the Rural Department on or after this date will be subject to the new maps. CLICK HERE to use USDA’s property eligibility tool. Simply enter the address of a home you are interested in buying with USDA financing.